A 101 guide on China's fastest growing app. 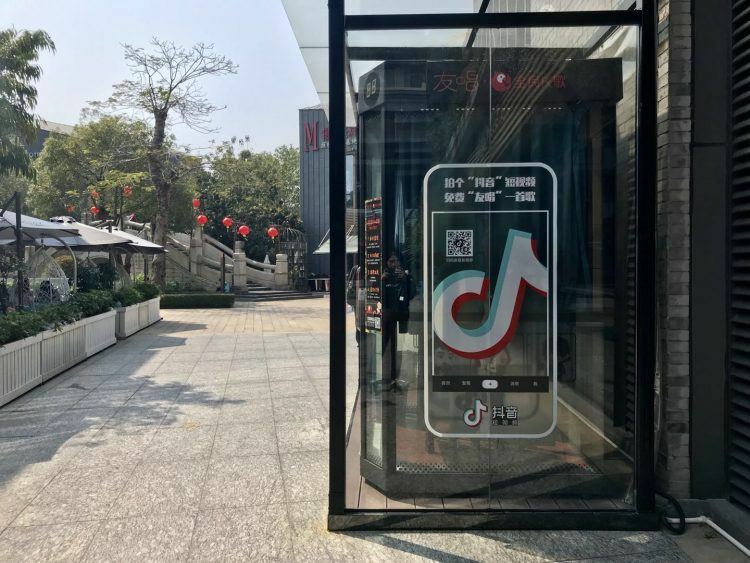 Everything you need to know about Douyin (internationally known as TikTok) in one simple guide. Complete with hands-on information, case-studies and tips & tricks from Douyin’s largest influencers. The guide you need to get started on this platform used by over 250 million users every single day. Want Douyin influencers help you getting started? Contact us! 4.2 What budget do I need? Erin has been an influencer on Douyin since their launch in mid 2016, when it was still called Awesome Me. She worked closely with Douyin and hundreds of influencers over the past couple of years. As one of the first agencies, we have been providing Douyin Marketing since mid 2017, when it still had a couple of million users. Since then, we worked closely with hundreds of KOLs and helped brands from different sizes to get started and grow the platform. This guide is written by Erin Huang, who is a contracted influencer for Douyin since their launch in 2016 and Fabian Bern who has been offering Douyin Marketing services with his agency UPLAB since 2017. We have been following Douyin’s exponential growth from the early days, working with some of the largest influencers while being in close contact with the team at Douyin. UPLAB featured in a Jae Wong (1.6 million fans) video. Reach: 2.5 million. Meeting Douyin influencers and inviting them for our China Influencer Summit. This ‘How-To’ Guide will outline how to effectively use Douyin for your individual business or company, the benefits it provides, followed by easy to understand visuals on getting started and growth. This is the first version of the Douyin Playbook and will be updated regularly. Last edited: 14 January 2019. 2018 was quite the year for Douyin. The app, which became China’s most popular app, was everywhere. From offline billboards and karaoke booths to TV shows. Within a year, the app grew from 30 million to over 250 million daily active users. Source: Tech In Asia (article: https://www.techinasia.com/douyin-rise-in-china) Now, the question is, did you make use of that opportunity and leveraged on Douyin’s rapid growth? Probably not. But don’t worry, it seems that Douyin and mother company Bytedance are becoming a major player in China’s ecosystem (and beyond). It’s time to make you Douyin ready! Douyin is only available in the Chinese app stores of both Apple and Android. TikTok, the international version showcases different features and content. By 2020, 40% of Chinese consumers will be Gen Z. To put that in perspective today, that is everyone under 21 years old. For video site users, 90.6% are born after 1995 and 70% use social media to purchase various products and services. Compared with many other Chinese platforms, Douyin has a unique user demographic. In the early days, the vast majority of Douyin’s users were female between 18-24 years-old from first-tier Chinese cities. Since their explosive growth, the demographics have drastically changed. In May 2018, 56% of the users were female and 44% were male. Almost 30% of the users were under 24 years old and just above 20% between 24 and 30 years old. To sum it up, over 50% of the users were below 30 years old and about 75% of the users is below 35 years old making Douyin a Millennial and Gen Z-dominated application. In terms of location, 35% of Douyin users are located in China’s richest cities, also known as ‘super-cities’ and ‘first-tier cities’ (i.e Beijing, Shanghai, Guangzhou and Shenzhen). Douyin has also experienced an upcoming growth of third-tier city users (like Zhongshan, Zhanjiang, Shaoxing, Huizhou and many others). For app usage, Douyin users are the most active during lunch time (12-2pm) and evenings from about 7pm until midnight. We tested posting content at different times on different days and the received the highest traction in the evenings, usually around 10 pm. The day itself matters less with the exception being Sundays when there are less active users. 1. Start your own livestream: You fans and others are able to watch, comment and send gifts on your livestream. Livestreams are often a great to educate an audience or promote a product. 2. Watch a livestream: Watch a livestream from popular influencers and KOLs and write comments and questions. There is a high chance that the live streamer will respond to you. It is an easy way to ask for collaborations instead of send them a private message. Over the past years mainly companies and influencers active in the beauty, fashion, education, entertainment and F&B have succeeded on Douyin. I think that the most trending industry on Douyin is make-up. These videos get quickly liked and watched by users. Also, I see more and more users purchasing make-up product through Douyin. Thanks to Douyin, users are able to explore new products quickly through videos. Many businesses feel pressure to be active on social media. Especially on new platforms with a lot of potential. This is the case for Doyuin. Besides Hai Di Lao, Alipay and Supreme, not many brands have succeeded on the platform. Brands find it very difficult to create the right content. Also, Gen Z and young millennials tend to have a short attention spans as mentioned before. This means that it is critical to grab their attention in less than a second or two. This requires a strategy many companies lack. Douyin is different from other social platforms and has no timeline or homepage which is confusing to new users. This is why when you get started on Douyin it is important to test a lot. Bytedance (the mother company of Douyin) is well-known for their strong AI and algorithms. Reports have said it belongs among the top algorithms in social media globally. To test what work, you can write down a list of ideas (think outside the box!) then you rank and prioritise these ideas (you can use the BRASS method for that). When you have several selected, you start shooting (or editing) content. When they are done, you execute them over the course of several days to a week. During the week you analyse and see what content brings the most valuable ROI to you. The content that works is scaled, and what does not work is abandoned. When you know what works, you create similar content in 80% of the time. The other 20%, you experiment with new types of content where you could use the BRASS method once again to test. Getting started on Douyin will feel unique and potentially confusing. It is a different kind of platform than what most people are used to using. What holds true, regardless of any platform, is defining your goal and objectives that are key to reach your audience and ultimately succeed in your campaign. Whether you are starting a business or personal channel, the structure of the content will be of a similar nature; easy to understand content with catchy music. Unlike Instagram that is highly polished and filtered, Douyin uses a vertically handheld shot in the heat of the moment, meaning much of the content comes across as “Live” and “Unfiltered”. At first, it can be difficult for the untrained user to portray this style and image. As a brand you should next identify your voice characteristics, your “do’s and don’ts”, and what is your unique angle on the content you plan to share. Examples include make-up tutorials, behind-the-scenes of a restaurant or broadcasts walking through the city you live or are exploring. It is important to distinguish if content is published from a business or personal perspective, along with the type of account being used (personal or employee for a company). Source for brands or influencers on the platform that you most identify with. Use their channels as an example to help you in this step of content creation. Before you get started with creating content on the platform, it is key to understand what you want to achieve. Is it sales, awareness or brand credibility? Have a look at your other marketing strategies and/or efforts. Note what is important to your brand, so you can keep your efforts consistent on every channel. Do not forget to consider factors such as gender, income and interests. They play a very important role in guidance when you start creating content. If you do not know where to start, search for popular and trending challenges, see who is using and engaging with these hashtags and see what type of content they create. Perhaps you can create something similar and better! It is recommended to review brands active in the same industry on Douyin. Analyse what they do well and how they distribute their content. Conduct a quick analysis of related accounts to see what posts are getting the highest engagement, what popular hashtags they are using, what their captions are, how often they post, and how quickly they are growing. This information can serve as a benchmark as you start growing your own account. While analysing your competitors’ content, take note of any opportunities they might have missed. Adding unique content into the mix will help your business to stand out from the rest. Scheduling content is key to become consistent, which is an important factor to become successful. Planning your content for Douyin is not a surprise, however it is difficult to plan far ahead, as you can do with platforms as WeChat and Weibo. Douyin is heavily based on the now, and your reach, engagement and conversion are highly influenced by Douyin’s challenges and popular songs. It is recommend to make use of the daily hyped videos on Douyin. Unfortunately, there is no way to schedule and auto-post content through Douyin and or a third-party, since the editing mainly takes place within the app. We are big fans of using Airtable and Teambition. Both are available in China. The Homepage is what you first see when you open the app. Like many social media apps, Douyin’s algorithm recommends the content based on what you watch, what you like, but also widely publishes popular content. Search on ‘created content’ near you. A timeline of video content shared by the people you follow. Currently trending content on Douyin with highlighted challenges, songs and videos. Challenges are created by both people and Douyin. If many users use the same hashtag or song, it will showcase at ‘Challenges’ on the homepage. Trending content listed down per category, ie. song, user, location and video. Here you can find all interactions with your profile and can also message others. Your profile including your published and drafted content. Like every other social media channel, you can decide to create you own content or outsource it to experts. Compared with channels as WeChat and Weibo, creating content for Douyin is tough. This is because consumed content is very personal and in the form of short videos that are highly engaging. If your team has a creative young millennial and/or Gen Z, you can get started by brainstorming ideas with them. They usually have a good understanding of what is popular and what is out of style. If you do not however, you can collaborate with KOLs or specialized agencies. Many brands already have video content in their library. It is possible to use existing video content and edit this in “Douyin style” , which could be in an entertaining or educational way, for example. It is important to not directly sell your product or service. These videos will be marked as advertisements and lower your reach and engagement. At the moment, there are not many agencies providing marketing for Douyin. UPLAB has been one of the first, and remains the only international agencies providing Douyin marketing. By trial and error, we have learned a lot about content creation, growth and influencer marketing. Costs depend on what type of content you would want to create if you already have existing content or have to create videos from scratch and if you would like to have your content be edited by an influencers / KOL. Content marketing UPLAB starts already at $1000 per month. This includes editing and distribution. Instagram does not allow you to edit videos. However, they have offer different AR filters than Douyin and GIFs, something what Douyin doesn’t have. This tend to work in engagement, as users engage with a different style. InShot is a photo and video editing app especially designed to improve the final result for any video you want to upload to your Instagram. It also lets you improve pictures and, of course, save your edited videos to your device’s memory. VUE is a video camera empowering users to capture memorable moments, edit them through adding filters, stickers or montage, and most importantly, share them with the world. Videoleap is a breakthrough video editor just for you. Pros will take advantage of powerful high-end editing features while amateurs will have fun cutting and combining clips simply, intuitively and on-the-go. Download now and start creating amazing videos today. Since the early days, Douyin has been popular for down to earth content with catchy music. Catchy songs played an important role in Douyin’s growth. Many stores in large malls used to play popular Douyin songs to attract customers. It is not uncommon to see random songs become a huge hit to virtually unknown artists. A great example is the ‘Panama challenge’. Panama, a song by a relatively unknown artist from Bulgaria, became widely popular and is now used in different shows across China. Using popular songs in your content play a big role in growing your reach and engagement. We found a great playlist on Spotify who has listed popular Douyin songs: https://open.spotify.com/playlist/6hQSjZuLRs1RGdjbhbFblt. You are also able to upload your own songs to Douyin. This can help your brand to create awareness under other users videos. @ERIN is doing that regularly. Over 197K people used her upload song. When you click on a song in a video, you can ‘favourite’ the song to use it later in one of your videos. Choose a recommend song or sound, search per category or use one of the song you favored. Change your camera between front-facing and back-facing. Use filters to smoothen and change shapes of people. Take a photo, instantly shoot a video, or hold to record. For a 15 second video, I record about 15 times in average before I am satisfied enough to post the content. This often takes a few hours. When you create your 15 second video, you can change effects such as colors, quick zoom or motion, and select a cover for your profile page along with a filter to your video. You also can lower your video sound, and toggle to change the volume of your video and/or song. This is the final step of your new post. Add a description, hashtag, tag a friend and add a location. If you are not fully done yet, you can save the video as a Draft (The video be saved on your profile page and you can edit it later.). If you are finished, click Post to publish the video. Every month I posted around 15-20 videos. I know most of my fans, as I carefully listen to them. I have multiple group chats where I talk with them. Over time, I changed my video content as my fans gave me valuable feedback. Decide as a brand what you want to get out of your Douyin efforts and how you engage with your target audience. Creating content within a particular theme plays an important role if you will succeed on the platform. Do you want to entertain people? Is there always a form of humour in your content? Do you want to educate? Need help? Look back at “Types of content“ that can help give an idea on how to grow. Go to profiles of your target audience and like/comment on about 5-10 videos. This helps you to get your name out there, and probably have a decent amount of people go visit your profile. How to find people in your niche? Go to influencers and/or company profiles within your niche and source through their fanbase. Start interacting with your audience. Comment on their livestreams, send them private messages or like and comment once in a while on their channel. You can also take it to a next level and Duet users in your target audience. Start a challenge and encourage people to join it. You can add a location to every video you create. Other people who are using and/or are interested in the same location will find you. This has been one of the key ways that allowed influencers grow fast on the platform. There are different trending challenges every day on Douyin. The challenges are created by users of Douyin. To get your content in front of a large audience, it is important to join these challenges in your style. Douyin, which is internationally known as ‘TikTok’ has a very active community on Douyin. There are loads of accounts re-posting Douyin and TikTok content on Instagram. Hashtags such as #tiktok #tiktokindonesia etc. are super popular. If you are already active on Instagram, you could use it as a channel to repost your content. Collaborations and partnerships are very important. Even just one great partnership with the right person can have an incredible impact on your business. Reach out to popular users and influencers for collaborations. Whether it’s on the platform or offline, in your store. [TIP] Douyin is only available in the Chinese app stores of both Apple and Android. TikTok, the international version showcases different features and content. Recently, Bytedance launched an easier way to run. advertisements on Douyin. You already can get started for 500RMB. Since January 2018, Douyin has been testing e-commerce together with it’s influencers. Today, every Chinese citizen and company is able to open their store through Douyin. The only requirement is to have a minimum of 10 videos. Most of the Douyin stores are linked through Taobao. They have been testing native stores, but has not really taken off yet. Opening a store on Douyin is relatively easy. After that, you have to verify yourself or your company. After that, you go to “Share Merch” and apply for the store. You usually get a response within a couple of hours until your application is approved. You now have to add your products to your account. Now, your products will be visible through your profile. If you want to promote a product through a video, you can add it to the last step of posting a video. Douyin is the best platform to sell products, because the engagement and reach on Douyin is super high compared with other platforms. Jae Wong, 1.5 million fans. Example of a cross-channel campaign flow (by UPLAB). When you run a campaign in China, it’s recommend to put your focus on different channels. How great of a fit the channel might be, it does not give you instant or easy success. In a short amount of time, Douyin is able to give you much reach, engagement and conversion. However, when running a campaign, don’t forget other channels as Weibo and WeChat. Plan your campaign cross-channel. Measure impressions, reach, engagement and conversion at different channels. Push your focus for 80% at the channel with the best ROI, and continue 20% of your efforts on other channels, as your audience hangs out at more places than just one channel. In 2018, WeChat has blocked outgoing URLs to their competitors. Since about a year, Douyin (Bytedance) is considered one of them. This makes it unable to share videos in WeChat. The link has to be separately opened in a browser. I repost my videos to other channels as Weibo and Instagram. This way I receive feedback from a different audience, which contributes to my channels growth and stay innovative. Like anywhere else in China, Influencer Marketing, also called KOL (key opinion leader) Marketing is crucial to a brands success. For Douyin, that’s nothing different. Since the early days, Douyin has partly leveraged their growth on influencers. The last years, short-video has been booming and more brands are looking for influencer collaborations through video. Because Douyin is an easy to use short video app with a young audience, it makes it accessible for brands to reach this oh so important audience. Most of the influencers active on Douyin has been working very closely and are loyal to Douyin. Douyin has been taking great care of their influencers since the start, including inviting them to the Bytedance headquarters, giving regularly presents or organising invite only parties. Douyin has been helping many influencers with their growth on the channel. From using influencers on promotional materials, to featuring their videos on trending pages. This all is good to know as brand who want to leverage on Douyin influencers. Most influencers are known within the internal team at Douyin, and there is often contact between the two. Also, Douyin is very strict on the type of content creation, and most of the influencer campaigns are managed by specialized agencies or MCNs (Multi Channel Network). In this first version, we don’t go much into influencer marketing. We recommend to read “Working with bloggers, influencers and KOLs” by Ashley Dudarenok and Lauren Hallanan. Douyin 抖音 largest event so far. In collaboration with Zhejiang Satellite Television 浙江卫视 thousands of people, KOLs and celebrities come together in Guangzhou International Sports Arena (capacity of 18.000). I think Douyin is a great platform to sell products. Previously, I did a brand collaboration with a small make-up brand and I was able to sell out their total stock. 💵 What budget do I need? The market price is between 20-30 RMB CPM followers. To put that in perspective. – An influencers with 1 Million followers costs around 20 000 – 30 000 RMB. KOLs with more than 500K fans should run their promotions through Starmap. Also, most of these KOLs are signed with a Douyin certified MCN. However, not all large KOLs are signed with an MCN and the smaller ones are managing brand deals often individually. It is key to build personal relationships with influencers and KOLs as they tend to be flexible in their pricing. It is also recommended to work directly with the influencers or with agencies who have strong ties with them. This allows you to run your campaigns often much less pricey than the average market price. UPLAB has a strong relationship with many influencers, which makes them able to offer prices far below market price (Influencer with more than 1M followers are usually not connected to a MCN, which allows UPLAB to offer a lower price) . This is an indication of what companies charge for influencer marketing on Douyin. 🎯 How to launch a Douyin campaign? Launching a campaign on Douyin is a bit tricky, as it all depends on the size you would like to run the campaign, and your budget of course. What is nice about Douyin, is that running a campaign is accessible, relatively simple and that often you are able to re-use the created content on other channels or sometime in the future. Influencers active on Douyin with more than 500 000 fans often have a contract with an official multi channel network, also called an MCN. Douyin has introduced their MCN network in August 2018 and launched Starmap in October that year. Both the influencer and brand have to register the promotion in Starmap. This way, Douyin takes control over the campaign and makes sure the content is aligned with it’s values. However, when running a campaign with influencers wh oare not contracted with an MCN and/or are smaller than 500 000, both brands and influencers are pretty flexible in terms of content creation. Also the price differentiates, and is often much cheaper. However, it’s all about having 關係 (Guang Xi) and providing value. With smaller campaigns, it’s enough to creating multiple pieces of content directly through influencers, and eventually immediately link to your e-commerce store. For larger campaigns, it’s the best to create a challenge. How many influencers you need and how your campaign has to look like all depends on your goals and objectives. We will dive into Douyin campaigns in the second version of this playbook. If your target audience is below 40 years old, Douyin is definitely a channel you have to include in your marketing strategy. Douyin is becoming a major platform in the Chinese social media ecosystem, unique in its own way. It could be a channel which is a little overwhelming from the start, so recommend is to collaborate with the right agency, MCN who can help you getting started. The app is developing fast and every week the company launches new features, often without even announcing it. Stay updated on the latest developments and be one of the first to succeed on this platform. We hope you enjoyed reading this first version of the Douyin guide. We still have many things to add, but it should give you a good sense of direction on starting out. We are happy to give you a free consultancy on Douyin, or help you out with content creation or running an influencer campaign. Fabian regularly posts about Bytedance and Douyin on Linkedin. You can follow him here. You can also send him an email: fabian@uplab.asia. If you have influencer specfic questions to a Douyin influencer, add Erin on WeChat: iamerinhuang or send an email to erin@uplab.asia.